the angels brought tidings of Peace and Goodwill. Wise Men, they’ve told us, are seeking Him still. Merry Christmas to each of you and to each a good night. Although Jesus may be the Reason for the Season, strangely enough, Sundays that fall on Christmas day are almost always the exception to the cardinal rule of never skipping a service. 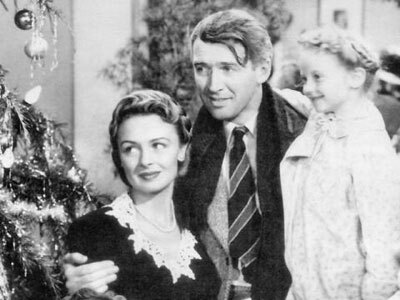 Unlike some denominations who will actually have more church services to celebrate Christmas, somewhere between December 24th and 25th Christmas jumps in the fundy mind from being a strictly religious affair to being a “family time.” Don’t worry, you’ll more than make up for lost time during the Watchnight Preacher Boy Extravaganza. 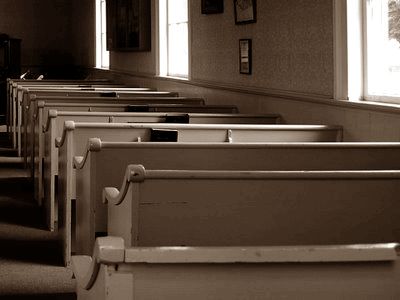 There are many possible reasons for a fundy church to cancel their gatherings on Christmas day. For one thing, with so many people out of town and “out sick” for that service it could throw off the entire third quarter attendance averages. Not to mention that it’s a pretty serious blow to the managawd’s ego to waste an entire sermon full of brilliance on the six faithful people when he’s not even getting paid extra for working on a holiday. And I say, good for them. A few minutes spent in the company of loved ones in what cheer can be had on a fundamentalist Christmas is probably more nourishing to the soul than a month of fundy Sundays. 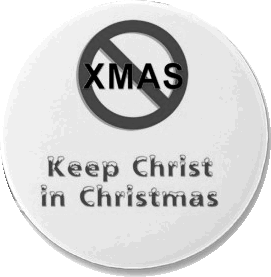 “Keep Christ in Christmas” isn’t just a spiritual command for fundamentalists, it’s a grammatical one as well. If you’ve ever heard a preach spend thirty minutes decrying the use of “Xmas” as a conspiracy by secular humanists to rob our nation of its Christian soul, then you might have been a fundamentalist. One speaker comes to mind who even suggested that if you lack enough space on your signs and cards that ChristX would be a more appropriate shorthand. This particular foible is a favorite of mine because it demonstrates a perfect storm of ignorance and fear. Even a tiny bit of research would show that “X” has been used an abbreviation for “Christ” for almost five-hundred years without any disrespect intended. Â But that’s just not nearly as useful as a wild-eyed rant about how Christ is being denied a seat at His Â own birthday party. I can only imagine how different things would be if fundies spent half the time trying to keep spirit of Christ in Christmas through acts of love and charity as they do fighting a non-existent battle to keep His name in the title of the holiday.